Ethan is an alum of our BFA program and went on to get an MFA and now resides in NY. He will be giving a presentation on The Highlights, an online archive of artists’ projects he helps to run. 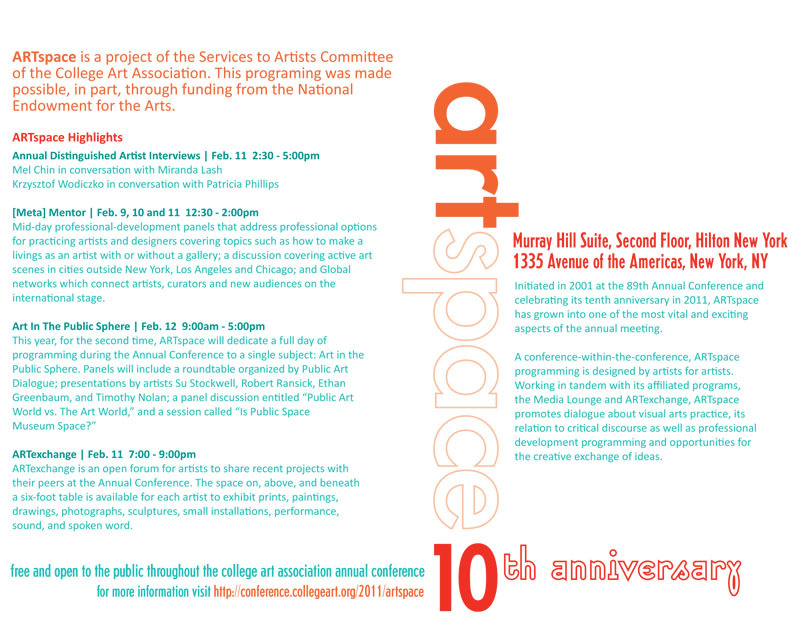 This is part of a larger set of panels and presentations on Art in the Public Sphere organized by Sharon Louden. Ethan will be presenting at 2. This a is a rare free CAA event… Please stop by if you’re around.